Dr Eddy Olafeso, South West National Vice Chairman of the Peoples Democratic Party, (PDP), says the party’s candidate for the Sept. 22 Osun gubernatorial poll had the pedigree to be governor. Speaking with newsmen in Lagos on Friday, Olafeso decried allegations that the PDP leadership skewed its Osun governorship primary in favour of Sen. Ademola Adeleke. 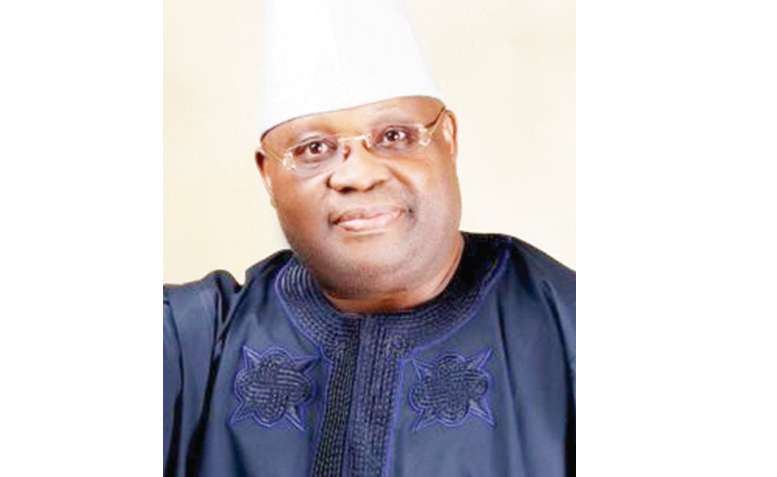 “Adeleke’s emergence was determined by members of the party and not the executive. The new PDP is not prone to manipulations. “It is open to the public that the Osun PDP primary election was one of the most transparent in recent political history. The entire electoral activity was televised live and the counting was done in the open. “The challenger requested for recount and this was done twice. No process can be more open than what the Gov. Seriake Dickson election committee did in Osun last Saturday. “It is thus very disheartening that the defeated aspirant relied on spurious allegations to smear the party, her officials and the candidate,” he said. He said that nothing could justify the baseless accusation of doctored results or manipulated process by Gov. Seriake Dickson and his team. “The party’s appeal panel, after due consideration and examination of the appeal, upheld the election and subsequently forwarded Adeleke’s name officially as the party’s flag bearer to INEC,” he said. Olafeso said that PDP had internal mechanism for resolving disputes arising from party primaries which allowed aggrieved aspirants to raise issues within the bounds of party rules and processes. On Adeleke’s qualification and eligibility, Olafeso said the party based its screening criteria on Sections 177[c] and 318 of the Nigerian constitution for interpretation on educational requirements for the office of governor. “Senator Ademola Adeleke is found eminently eligible and qualified to seek the office of a governor. “We are working assiduously to address all grievances and bring all stakeholders together, assuage frayed nerves and forge a united front to deliver the much needed victory in the Osun gubernatorial elections. The PDP chieftain also noted that Adeleke’s obsession for dancing did not make him less qualified for the exalted office. “That Adeleke has a dancing hobby does not make him a dancing senator; we’ve all seen his contributions to discussions at the National Assembly. He’s a saleable candidate any day,” he said.